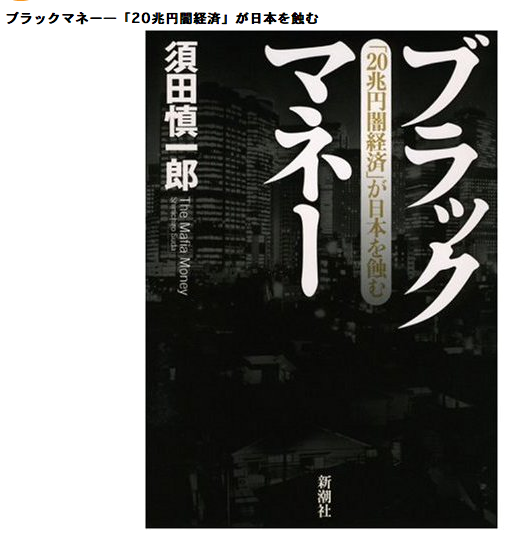 I’ve been reading the book, Black Money （ブラックマネー）by Suda Shinichiro, which is a fairly good description of Japan’s nearly 20,000,000,000,000 yen underground economy. Yes, those figures are correct, by the way. The yakuza invasion of Japan’s financial markets in recent years has been amazing and rapid. Prime Minister Koizumi (who’s grandfather was a member of the Inagawa-kai crime group) , under encouragement from the Bush administration and with the advice of Miyauchi, the chairman of the Orix group, instituted a widespread relaxation of previous laws and regulations of the finance industry which made it possible for organized crime to get their foot in the door, and once they got inside the House Of Commerce, they decided to stay. The modern yakuza, or the 成人ヤクザ, make their real money in loan-sharking, stock manipulation, real-estate speculation, and IPOs. They need a veneer of legitimacy to do this and that is usually done by creating a dummy corporation—front companies. One of the things I liked most about this book is the section where Suda discusses how the yakuza have changed over the years, and the very nature of the yakuza front company has changed as well. Personally, I feel kind of nostalgic for the days when yakuza were idiots. They’d use their own gang offices as the company registration and put their own members on the board of directors. If you had a roster of yakuza names or a good database, it wasn’t hard to determine whether it was a front company or not. Hell, you could to the office and watch the tattooed guys in bad suits come and go and pretty much figure it out instantly. There is a very good book, long since out of print, by Mizoguchi Atsushi, called Yakuza Front Company. I think it was issued around 1992, or 1991. I don’t have a copy with me right now. In that book, he gave a very credible explanation of why the Yamaguchi-gumi, the Wal-Mart of organized crime in Japan, holds such a large number of front companies. Back in the day, when the Yamaguchi-gumi had agreed to stay out of Tokyo, they weren’t able to open gang offices. However, front companies were a different thing. It allowed them to operate in Tokyo but not necessarily as “the Yamaguchi-gumi.” In many ways, the front companies paved the way for the Yamaguchi-gumi invasion of Tokyo with the “merger” between the Yamaguchi-gumi and the Kokusuikai （国粋会）in November of 2005. Well, anyway, things used to be a lot simpler when I was a cub reporter. The basics of yakuza operations were gambling, prostitution, extortion, violence, blackmail and shakedowns. They certainly have diversified over the years. I’m having to read books on finance and forensic accounting to keep up. If you don’t understand the stock markets in Japan, you can’t understand the modern yakuza. Recently, I found a front company for a front company of a front company. In other words, it took me three layers of digging to find out the real company I was looking at and another layer to figure out which organized crime group was really running the show. It’s like peeling an onion and the onions keep getting bigger. However, one yakuza boss did dispute my whining that yakuza money-earning activities （シノギ）had really changed in the last fifteen years.